Cooking a meal that can keep the whole family happy is a minefield, especially when you have two children under four. Every meal time, we run the gauntlet. Will they eat? Will I be covered in food at the end? Obviously, we all want our children to eat healthily. We want them to eat vegetables, good lean protein, fibre – it feels good to know that we are getting something good into them. Unfortunately, you can absolutely guarantee that the meals you spend the most effort on, the ones that you plan carefully to be nutritionally balanced and spend an age making in bulk so that you always have healthy meals in the freezer – those are the ones that are often rejected out of hand. There is nothing quite like the burning sense of injustice a parent feels when the scrape a lovingly prepared meal into the bin. Luckily, this recipe with Birds Eye Chicken Chargrills is just what every stressed out and busy mum needs. Birds Eye products are truly exceptional; they should be every parent’s friend. Not only are all Birds Eye Chicken products made with 100% chicken breast, their chickens are also barn reared, meeting EU regulations. In addition, Birds Eye chicken is packed with protein, which is perfect for a growing family. Birds Eye asked me to devise a healthy family recipe, using one of their delicious products. I had some guidance to stick to – the meal had to use a Birds Eye chicken product, it had to be suitable for the whole family, prepared and cooked in 20 minutes AND it had to be full of healthy veg. 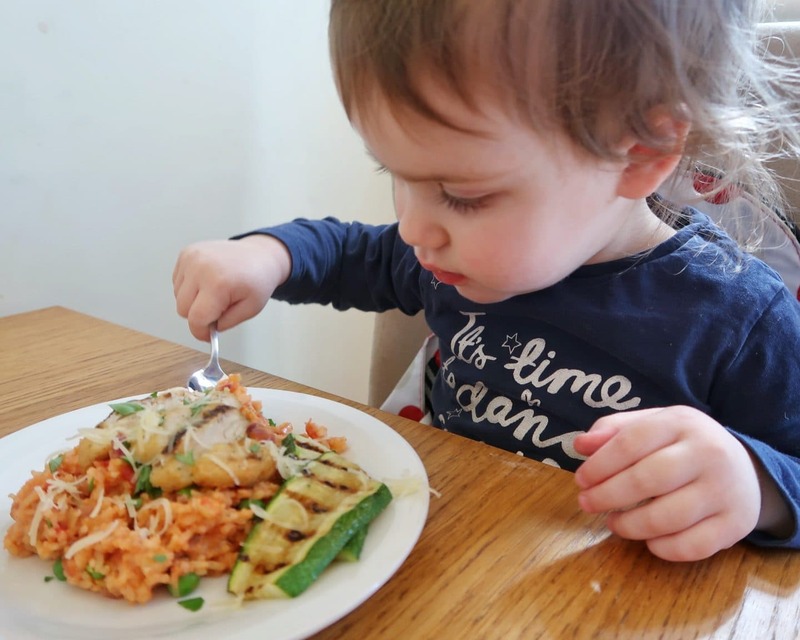 It was no mean feat – but this recipe was a huge hit and both children vacuumed it up – and we enjoyed it too! You can make this sauce in bulk and freeze it, cutting preparation time even further. Check out our recipe below. Birds Eye Chicken Chargrills with Tomato and Cream Cheese Risotto Style Rice. Next, chop the leek, celery and onion very finely – a food processor is best. This means the veg is hidden in the sauce if you have fussy eaters. Put the chicken in the oven following the instructions on the packet. Heat the oil in a high sided frying pan or casserole pan and fry the vegetables gently for 5 minutes until soft. Pour in the tin of tomatoes, add the tomato puree and season to taste. Add the rinsed rice to the pan and boil for about 10 minutes. Drain with the sieve and return to the pan. Next, remove the chicken chargrills from the oven and slice in to succulent, bite size pieces. Spoon the rice dish on to warmed plates, liberally scatter the chopped parsley and arrange your chicken pieces artfully on the top. Finally, if you are feeling lavish, you could grate cheese on to finish. And there you have it – a balanced, nutritious meal that is easy to prepare and that the whole family can enjoy: a definite parenting win. 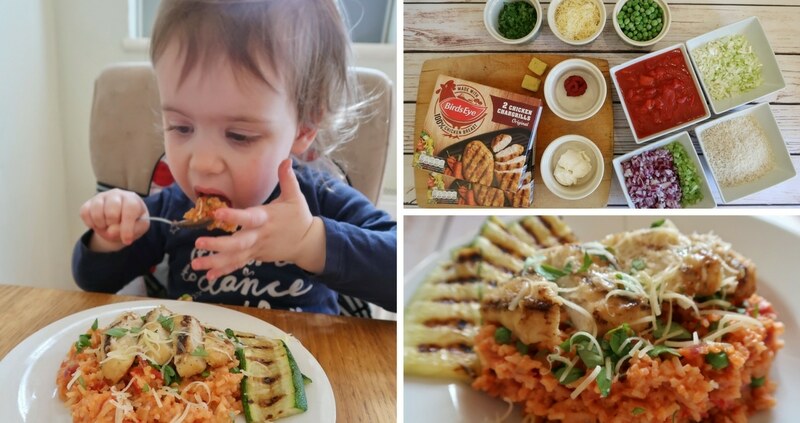 Look out for more recipes for brilliant family meals using Birds Eye chicken products, as other parenting bloggers have devised recipes too. 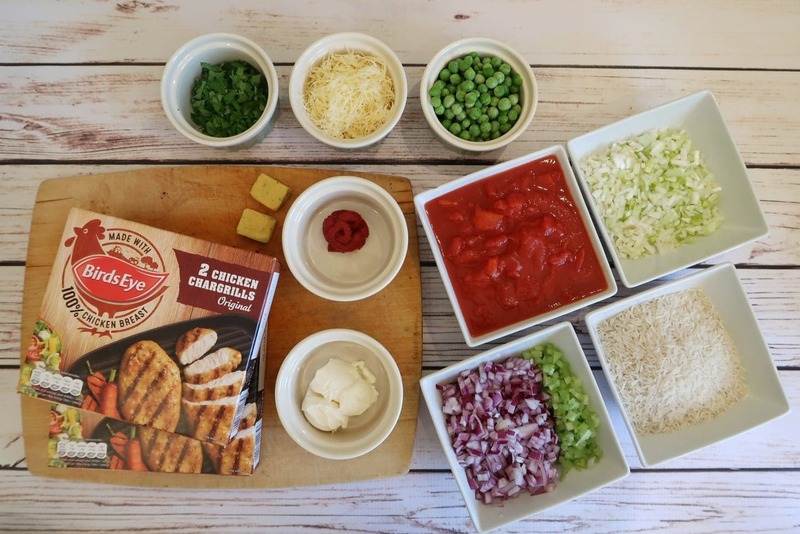 They are all guaranteed to be nutritious, easy-to-prepare and made with Birds Eye products which are made with 100% chicken breasts. Please note, this post is in collaboration with Birds Eye. I feel hungry now !!! What a great recipe that all the family can eat and super quick to make. This looks very tasty. Cooking for kids can be so tricky sometimes. I love how quick and simple it is to make. 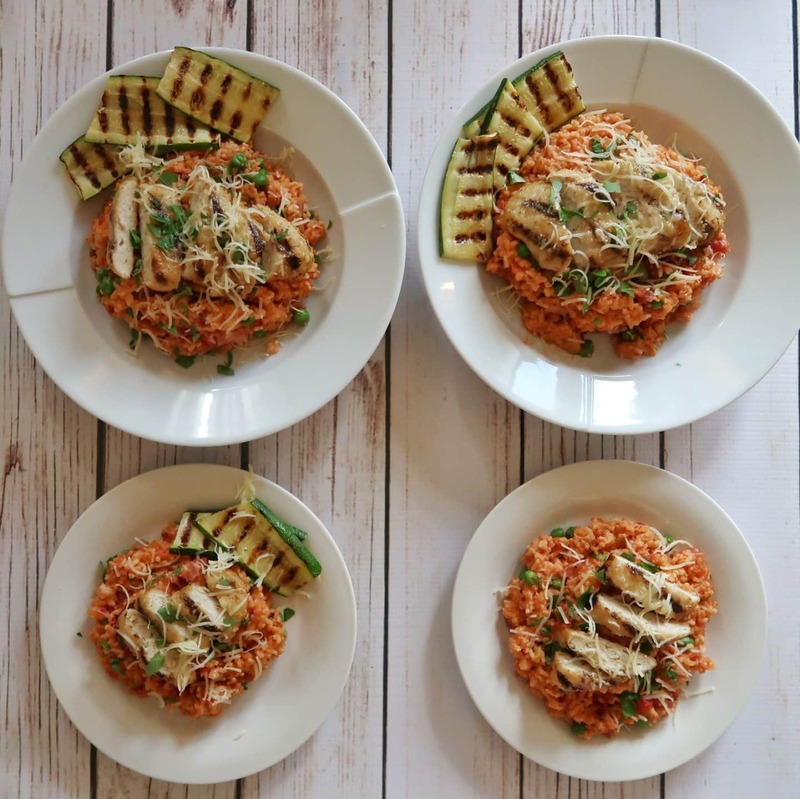 The fact that the risotto is healthy and contains protein is an absolute bonus! This looks delicious and so easy to make. We always cook our meals from scratch. I think the food we eat definitely affect our mood and energy levels. I am totally with you on the minefield that is toddler meals! I don’t actually eat meat, but B does. I will certainly give this one a try as it’s one that we probably have all the ingredients for or can pick up really easily. Fab! This looks absolutely yummy and such a quick meal to make too,. perfect for those with busy families and looking for a healthy meal. 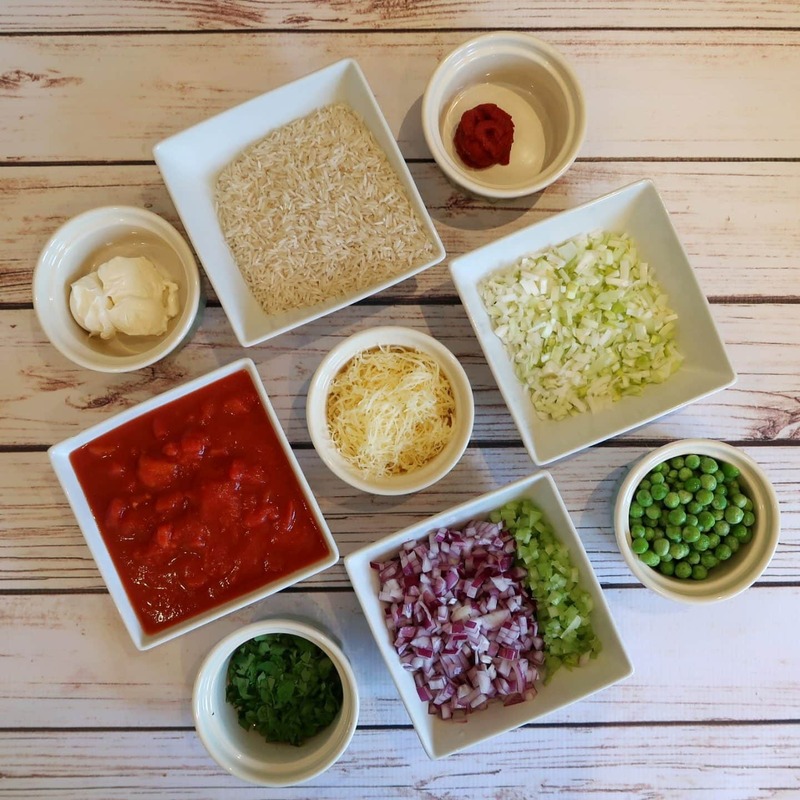 great recipe thanks – so much better than shop bought ! Your baby won’t be in the mood for food if they’re sleepy so choose a time of day when they’re awake and alert, but not distracted. And make sure you’ve got plenty of time too as you don’t want to rush! Yummy! What a great recipe and so quick! RISotto in 20 ins is just showing off! This looks delicious! I tend to steer clear of “ready made” meats as I worry about the salt content, but these look great! My kids love Birds Eye chicken grills. Am inspired with your receipe as mine only ever have it with chips or in wraps with salad. Yum! I’ve actually never tried these but I’m always after easy meals and by easy I don’t mean throw in the microwave! I like to do some prep so I know there are fresh healthy ingredients too. Thank you! Will give it a try. That looks really nice, I wouldn’t mind that myself. This looks really healthy ! I am on a healthy eating plan and thinking if I left the cream cheese out I could use very low fat or even cottage cheese for something different. Thanks for sharing it.